You can add a title to the plot using the main argument in the plot() function. Ensure that the title is enclosed in single/double quotes as it is a string. 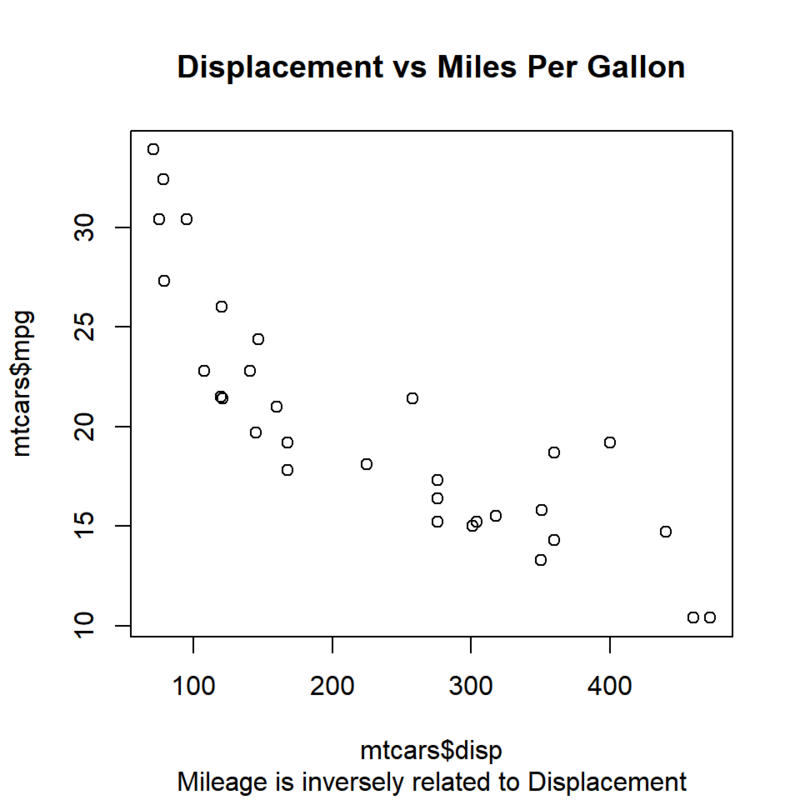 Let us create a scatter plot of disp and mpg from mtcars data set, and add a title to it. We can add title, subtitle and axis labels using the title() function as well. Let us recreate the plots from the previous examples but this time we will use the title() instead of the plot() function. 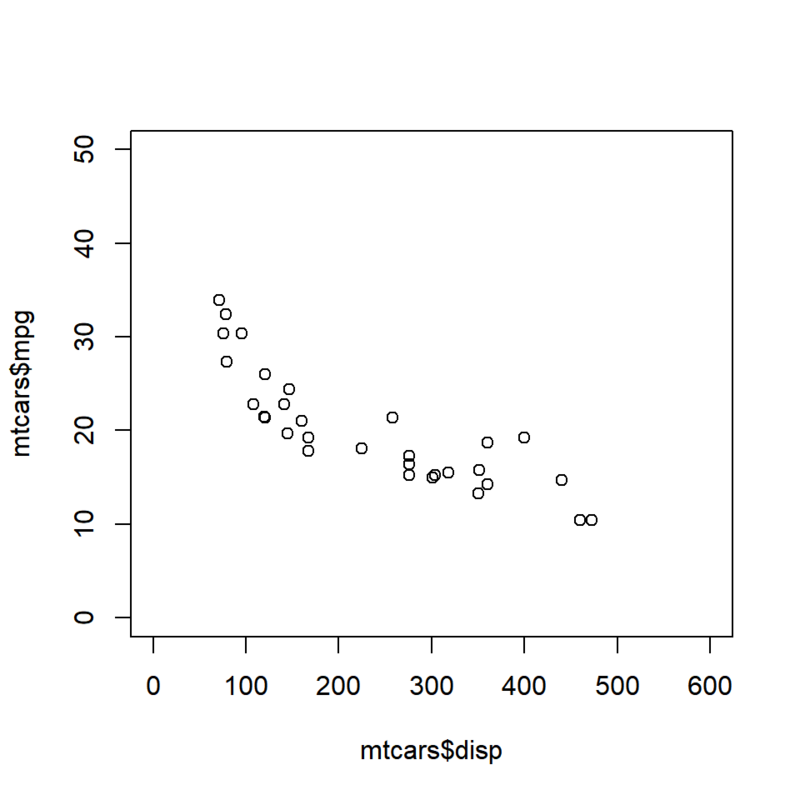 We will continue to use the plot() function to create the plot. The axis labels are legible and not overwritten. You can use either the plot() function or the title() function to add title, subtitle and axis labels but ensure that in case you use the title() function, set ann argument to FALSE in the plot() function. 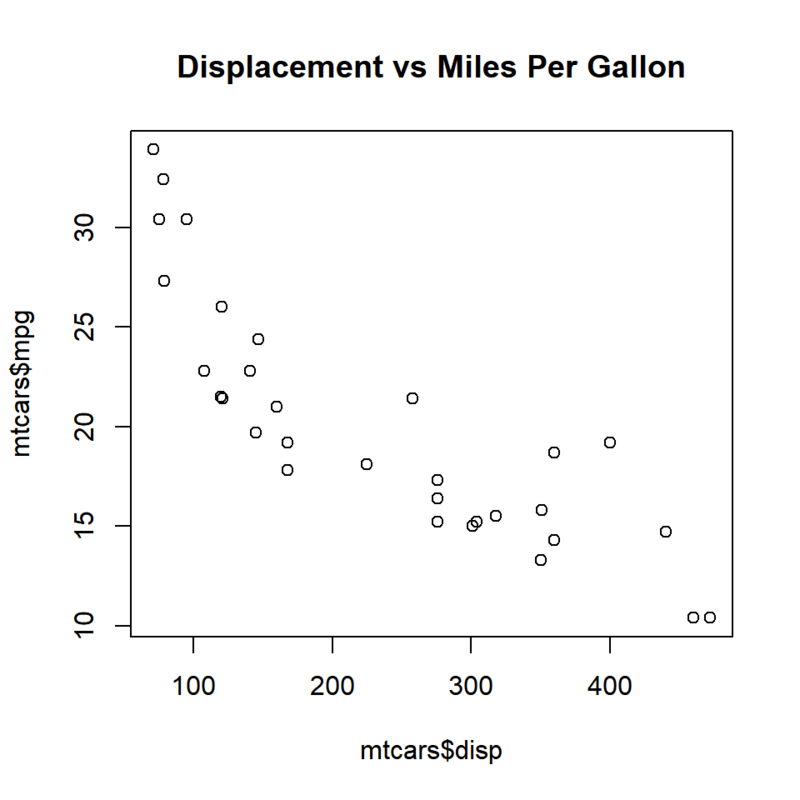 Keep in mind that the axis ranges cannot be modified using the title() function.